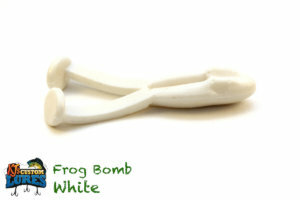 The Frog Bomb is a heavy, paddle style footed frog. Designed for topwater, and to disrupt a calm morning through the pads. 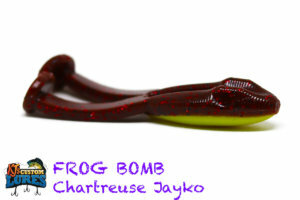 Big bass love a frog and the commotion they bring to the table! Largemouth Bass for the most part, however, other species have been known to take frogs, as well. 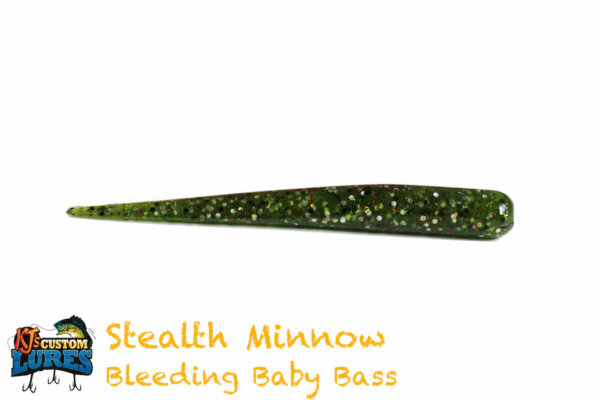 Redfish, Pike, and many more. 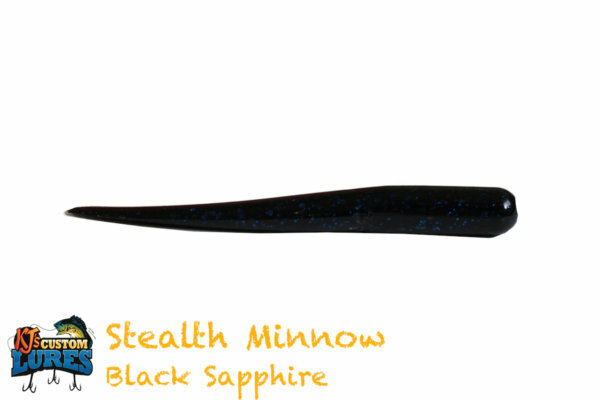 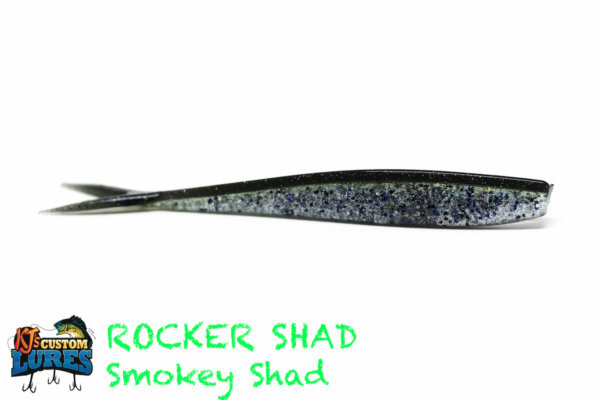 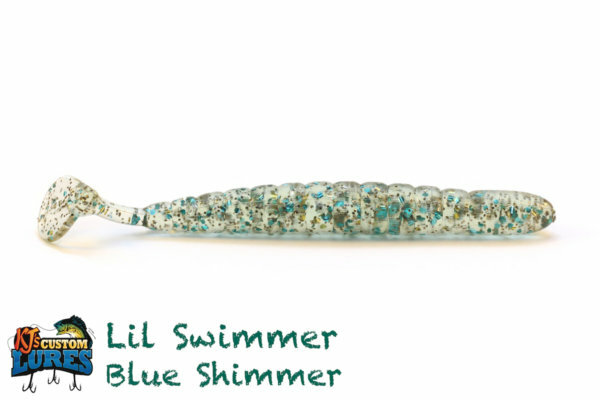 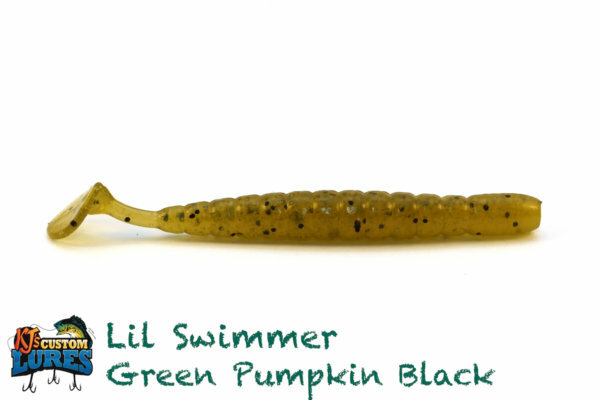 Generally meant for a topwater action, you can also swim this below the surface, keeping it in the top water column. Great around lily pads, grass, laydowns, riprap, and other standout structures. Generally a Spring and Fall application, however, a frog can be used just about year-round, as long as the temp doesn’t drop too far below 58 degrees for too long. 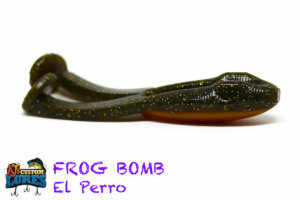 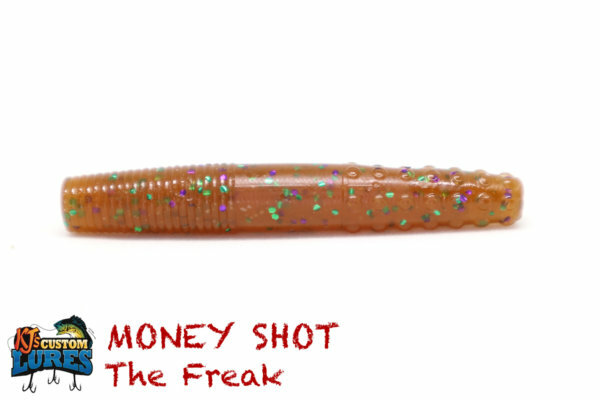 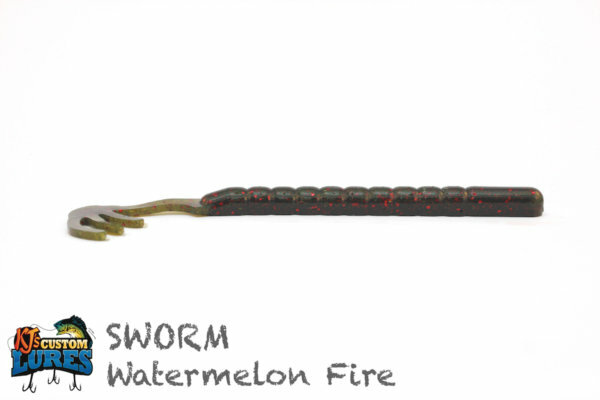 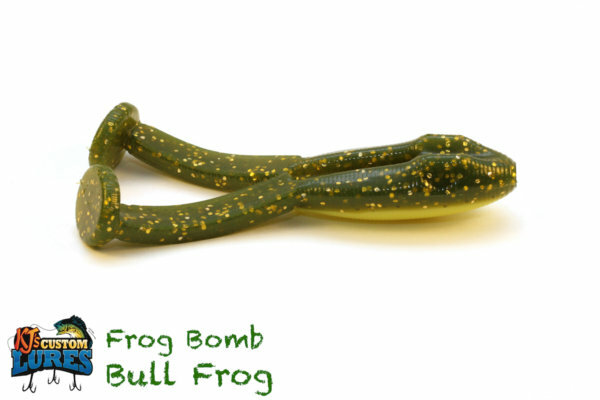 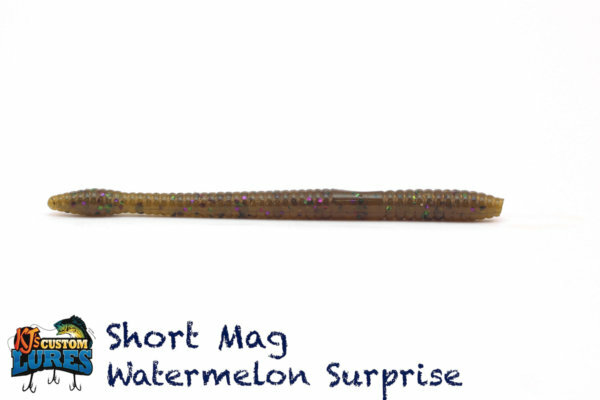 Throw the Frog Bomb just like you would a buzzbait. 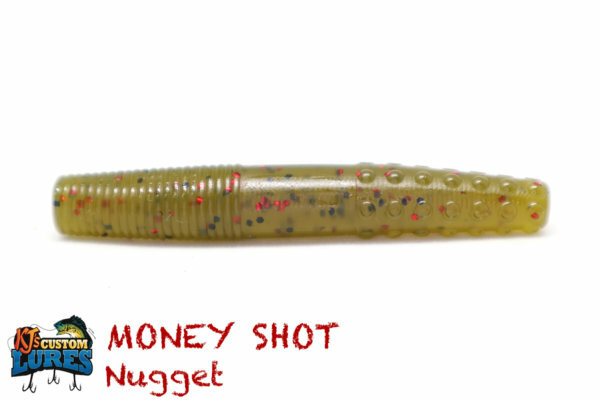 If you’re throwing it in the pads, a stop and go method is a good one to keep in mind, while other times a steady retrieve is sometimes better. If you come up on an opening in the pads, stop, twitch, and go all while in the hold. If steady retrieving, use a slow to moderate retrieve, often times just enough to keep the frog above water. 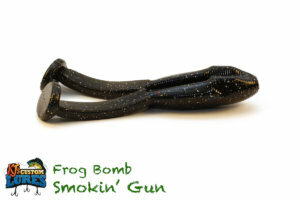 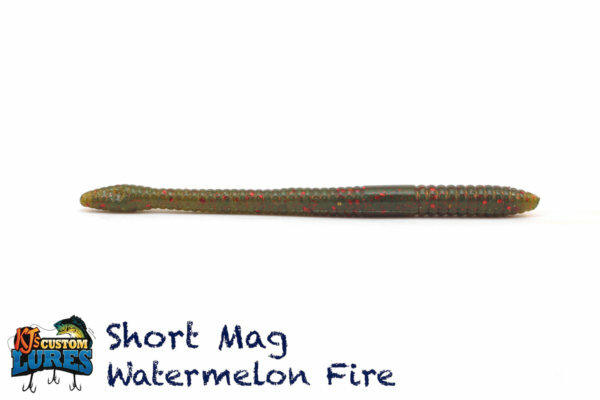 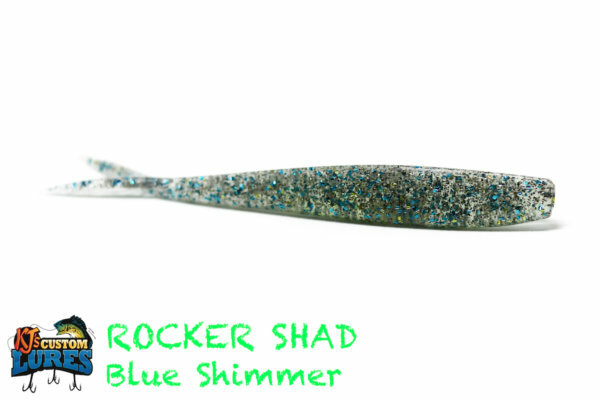 Rig it up on a 5/0 EWG hook and get ready!